Because our design studio is rooted in Boulder, CO, we work with lots of pet loving clients. 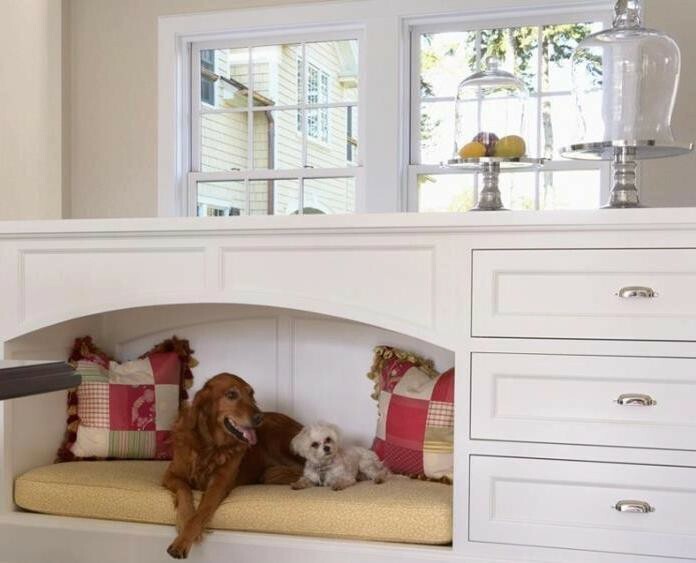 We have designed window seats for sunbathing pets, carpeted dog ramps and custom pet beds just to name a few. Recently Details attended "Unleashed Pet Designs" to further our education on designing homes to fit the needs of pet owners. 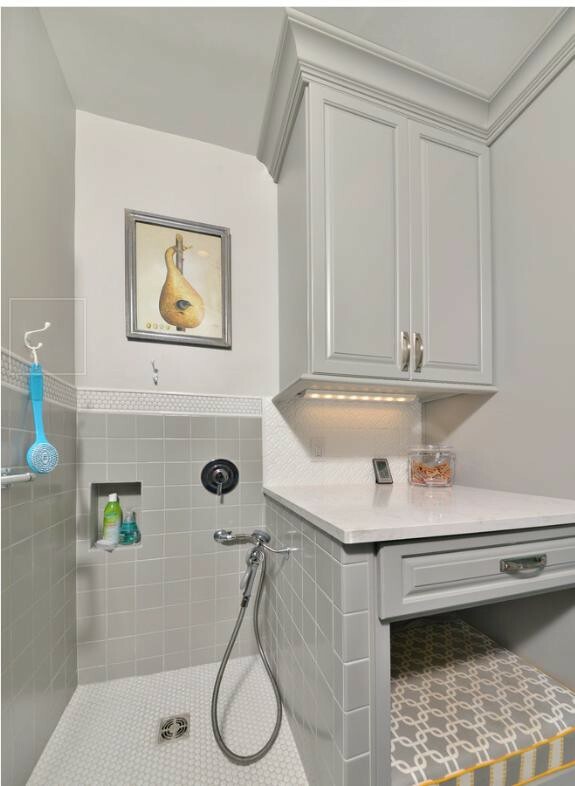 After this event, Details became inspired to share some of these fun ideas with you! 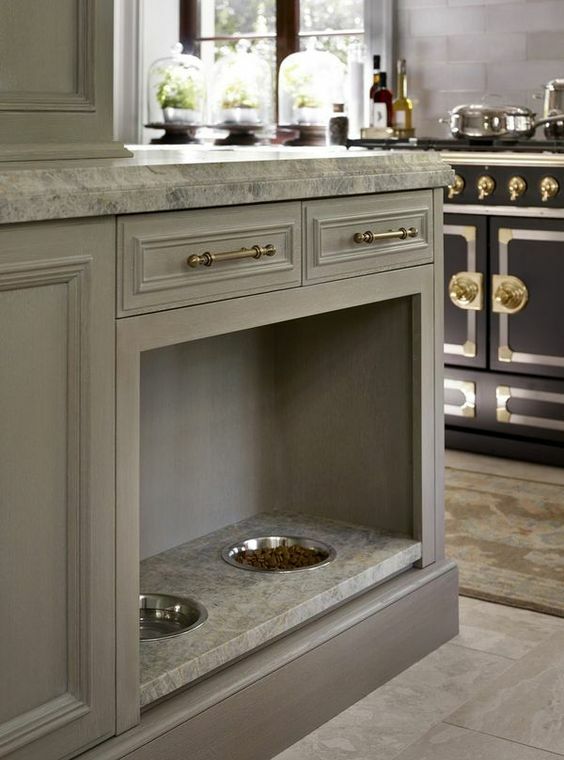 So let's start with some key things to consider when furnishing your home for pets. Firstly, you want to make sure your valued items stay in great shape and are protected from the unexpected occurrences. We highly recommend getting your sofas, chairs, and rugs treated with a sealant. We can personally attest to the value of getting this done in order to be ready for the unexpected moment when your dog eats a chocolate bar. 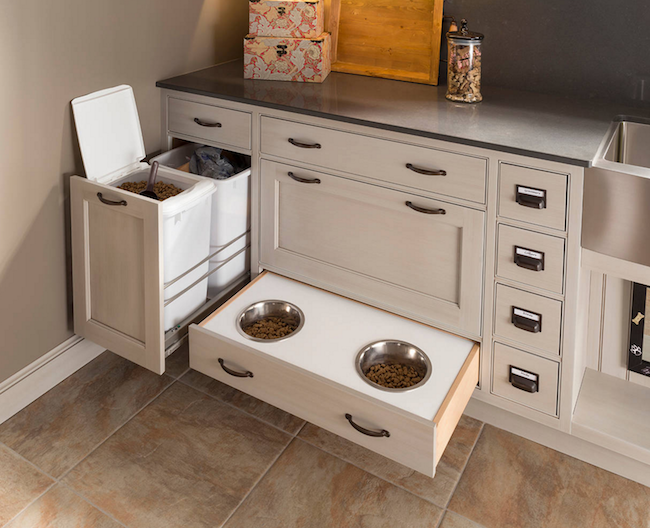 Another way to make sure that you have a low-maintenance, pet-friendly space is by either purchasing furnishings with pre-treated fabrics that include Crypton technology or reupholstering them with high-performance fabrics. Yes, these fabrics will be more expensive upfront but they will last longer over time. For a lower priced option, we recommend a high-quality micro-suede fabric for furniture items. 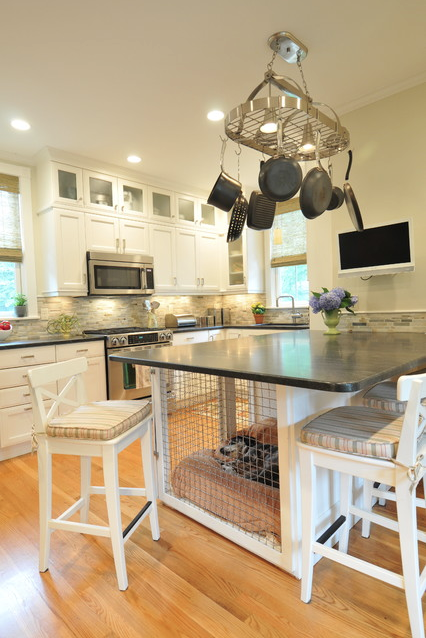 There are also some great built-in ways to create a functional home for you & your pets. 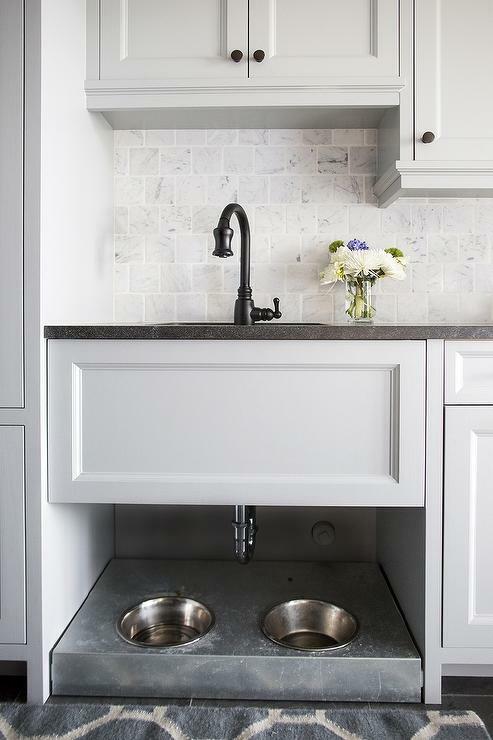 A few of my favorite ideas include pot-fillers for the water dishes, roll-out trash bins to house pet food, built-in pet food dishes within the kitchen, dog wash stations, and even a dog-crate kitchen island (see pictures below)!